A groundbreaking new class of organic semiconductor materials poised to eliminate barriers to adoption of OLED technology. 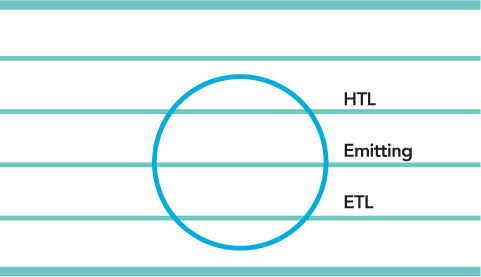 organic materials typically used for emitters, hole transport and electron transport. OLEDIQ materials are amorphous, soluble small molecules that are non-crystallizable, which prevents aggregation of dopant emitters. 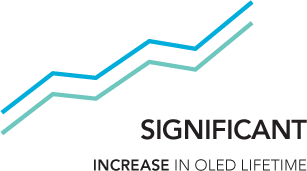 This means OLEDIQ produces significant improvements in OLED lifetime and high reliability. Interested in the details of our new class of OLED materials?